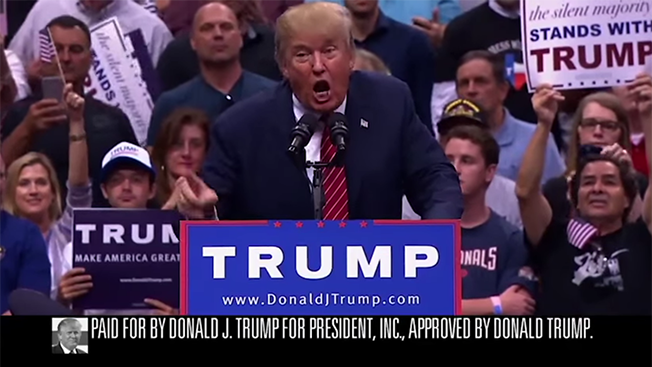 How Effective Have Donald Trump’s and Ted Cruz’s Campaign Ads Been? 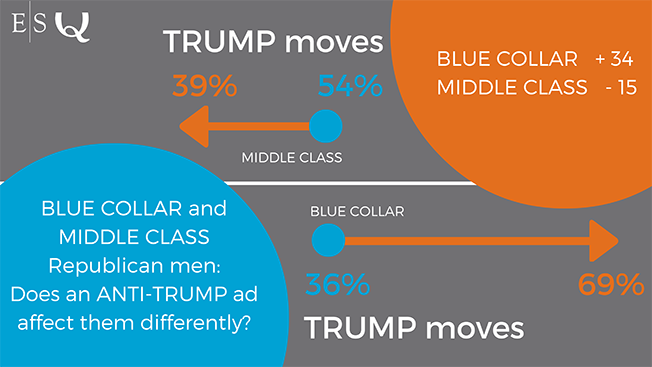 Donald Trump's support among blue collar voters doubles when Ted Cruz attacks him in ads, but those same attacks boost Cruz's support among middle-class men. 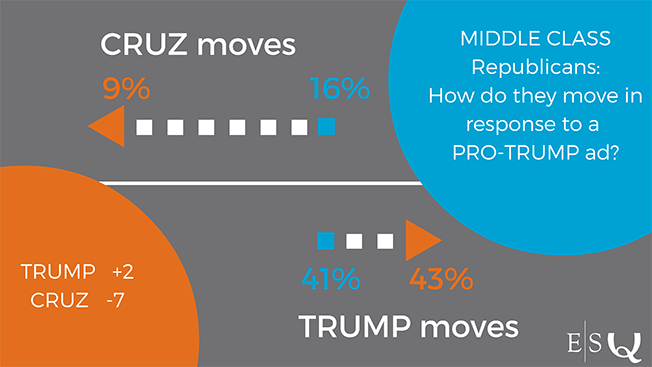 And while Trump's ads don't help him much, they do drive voters away from Cruz. Those are some of the findings in a study by insights platform Qualtrics, which recruited more than 1,200 people to try and determine whether ads from the two leading GOP candidates are working, with the Iowa caucuses just days away. Qualtrics and partner Evolving Strategies showed participants three ads: one promoting Trump, one attacking him and one promoting Cruz. After each ad, respondents were asked a series of questions, including their pick for the nomination. Cruz's challenge to Trump during the recent Fox Business Network debate—using the term "New York values"—was only modestly successful, the study found. "The ad based on that challenge works for middle-class men," said Evolving Strategies founder and chief science officer Adam Schaeffer. "But the bad luck for Cruz is his ad causes a huge backlash among blue collar voters [those with a high school degree or less and a salary of less than $90,000] while boosting their support for Trump by 18 points from 45 to 64 percent. Most of this movement comes from a shocking 34-point boost in Trump support among blue collar men." 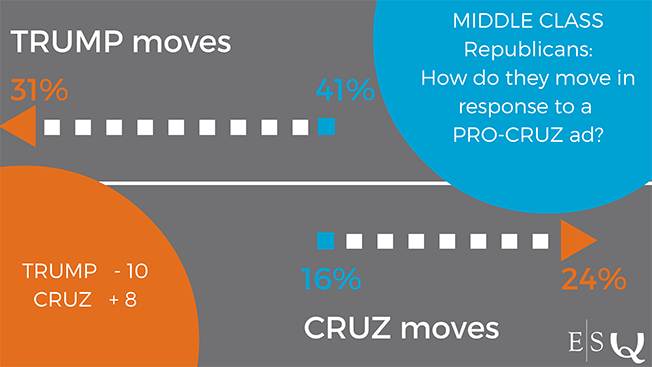 The study also found that when middle-class voters see Cruz's positive ad on immigration and economic populism, Trump support drops by 10 points and Cruz support jumps eight points. "Cruz would be wise to find new lines of attack while pushing out his positive ads," Schaeffer said. "Heading into Iowa, Sen. Cruz is in trouble." Below are the three ads tested by Qualtrics and Evolving Strategies, neither of which is affiliated with Trump's or Cruz's campaign. Each ad is followed by an infographic showing how study participants reacted to it.